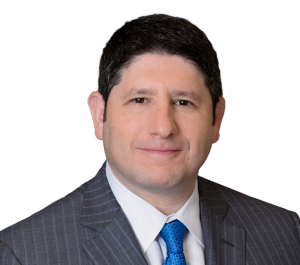 Attorneys Daniel S. Weinstock and Edward S. Goldis obtained a $1 million settlement on behalf of a couple in their 80s who were the victims of an accidental oil spill at their home. The incident occurred when the Kelley Energy Company inadvertently delivered oil to their Philadelphia home, thinking it was at a different home two blocks away. Unfortunately, the plaintiffs’ home did not have a heating oil tank, so when the heating oil was pumped into the exterior fill pipe, it spilled into the walls of their home. Unaware of what had occurred, the plaintiffs, both of whom had pre-existing health problems, inhaled the fumes overnight while they slept. The next morning, the plaintiffs felt ill and went to the hospital. The husband spent some time in a rehabilitation facility, where he fully recovered from his injuries, and returned home. His wife suffered a significant exacerbation of an underlying respiratory problem, and became oxygen dependent as a result of the oil spill. The defendant oil company adamantly denied responsibility for the spill. However, through aggressive investigation and discovery, attorneys Weinstock and Goldis identified eyewitnesses to the oil delivery and Global Positioning System data that conclusively proved the identity of the responsible party.